Three adjectives that describe you: Funny, unreadable and unpredictable. Favorite Activities: I love to frog gig (frog hunting) in the summer. I also love to camp, have bonfires, cookouts, go to the river, lake, etc. I love anything outside when the weather is good. Anything with friends and family is a blast. What do you think will be the most difficult part about living inside the “Big Brother” house? If there’s someone I can’t stand I am used to just getting the hell away from them, so in the house it won’t be that easy. I will not only have to strategize a way to get them out of the game, I will also have to think if it’s a good time to get rid of them or if it would be better to keep them around and torture my sanity for a few more weeks just so it will help me more in the long run. Strategy for winning “Big Brother”: My strategy is to play a complete social and strategic game, which I will be very good at. I would like to find an older loyal person to work with and also have a guy who is good at competitions that’s around my age I could relate to and that is loyal, and either a really hot girl or a smart person. Easier said than done, I don’t think a set strategy would ever work going into the game. But these are key character types I am going to be scoping out in hopes of making alliance or two. I want to outplay Will and Dan’s games. Come on, its possible!!! Which past “Big Brother” cast member did you like most or least? 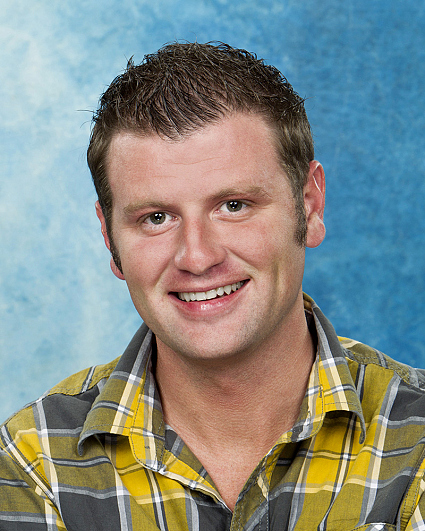 DanBB10, Russell BB11, Keesha BB10, are 3 of my favorite players based on their gameplay and how their attitudes were in the house. I also like Jeff, Jordan, Danielle, Cassi, Dominic, Frank, Jojo etc. (I’m a fan). I despised Ronnie BB11 and "Cowboy" BB5 and also didn’t like Mike Boogie!!!!! Mike Boogie is my least favorite player to ever play the game. What are you afraid of? Heights and spiders! What is the accomplishment you are most proud of? Overcoming and dealing with anxiety! I have had anxiety all of my life and never really realized it. When I was about 21 I had a panic attack. I realized I had anxiety issues and though I did get some Xanax, I also had to coach myself and train my brain how to not get nervous and it works! It took me a little bit but I have really learned how to stop it before it happens and just make myself chill. You would never understand what an accomplishment this was unless you have ever had anxiety. Finish this sentence: My life’s motto is… Life’s a game, you should always be strategic and be ready for your next move. What would you take into the house and why? iPhone (would never happen) camera to take crazy pics with my new friends and pranks we pull. 2. Picture of family 3. A ball ( we could make up so many games with a ball) I’m not big on material things, I would be fine with just the basic BB necessities. What would you do if “Big Brother” made you famous? I would appreciate BB for doing that for me and I would try to enjoy my 15 minutes as long as I could. If I made a lot of money I would like to travel, donate to St. Judes, and maybe even go on a couple mission trips.